Now you can complete your morphsuit costume! These Grey Gloves will complete a number of different costumes. 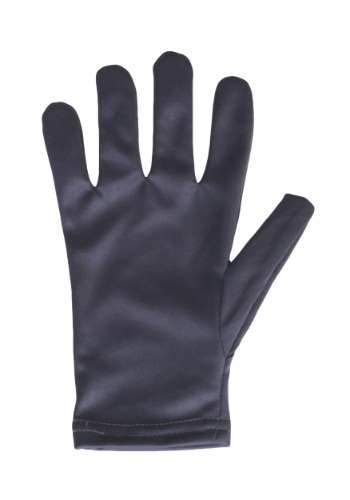 They go great with a werewolf costume and will keep your hands warm. Some turtles fight crime with ninja skills. Others just like to look adorable while they're chilling! Your baby can get his chance to be the second kind of turtle in this costume. (He might still feel like fighting crime in it, but he'll probably be too busy get cuddled by you when he's wearing it). When you go out to the ocean you'll see wonderful animals that swim around and have a blast and none more so than the dolphin. These playful creatures have a great time saying hello to humans and now your little one can look just like one with this costume. 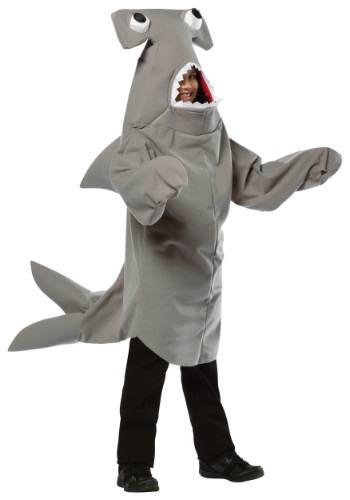 When they put this outfit on they'll feel just like their favorite ocean animal in seconds. 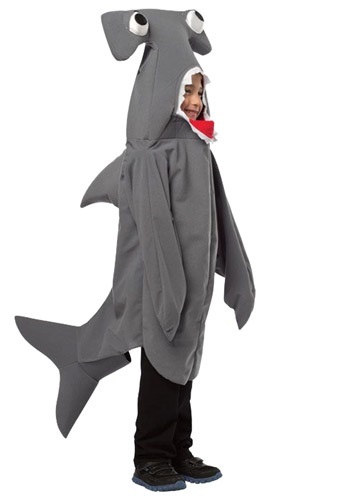 Your child can be a menace at the beach in this Child Hammerhead Shark Costume--or not. But any budding marine biologist will enjoy this!Did you know that there are over 470 different species of sharks? The smallest, the dwarf lantern shark, is less than seven inches long when fully grown. The biggest, the whale shark, can be up to 40 feet long; it is the biggest of all fish. (Yes, whales are bigger, but they aren't fish--they're mammals!) Hammerheads are in the middle of the shark range--the biggest ones are about 20 feet long. Is your child into marine biology? 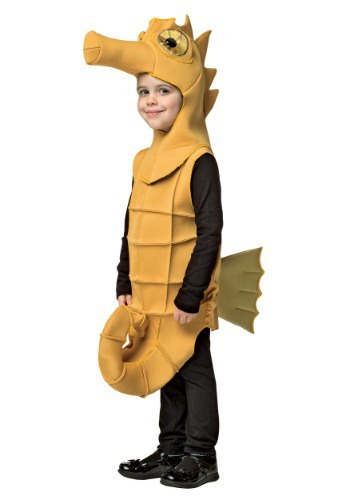 He or she can go beyond studying sea creatures and be one instead with this child Seahorse Costume. Because everyone knows if you really want to understand something you've got to get in its mind. So now with our child seahorse costume they can see what it's really like to be a creature that's sort of horse-like but lives under the water. Spoilers... it's riveting! 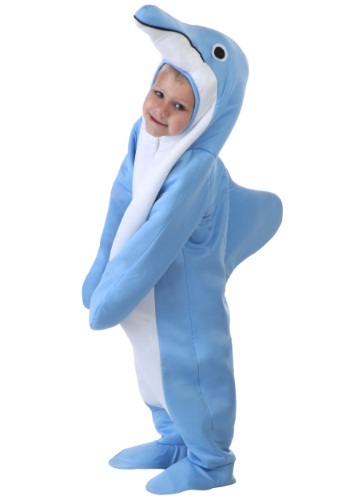 So we know that your child already has their sights set on becoming a professional dolphin trainer. Awesome! 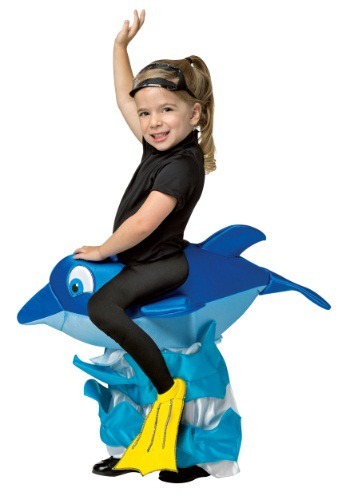 It's going to take many, many years of training to get them to their goal, so give them a little jump start with this Dolphin rider costume. 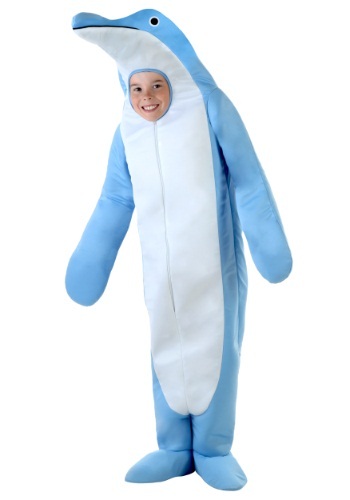 It's an adorable way to have them looking just like a Seaworld performer. And the best part of all? There's no swimming skills required! When you go to the fair sometimes you can play a game of chance and win a prize. That prize can be a cute teddy bear, a stuffed banana, or even an adorable goldfish. 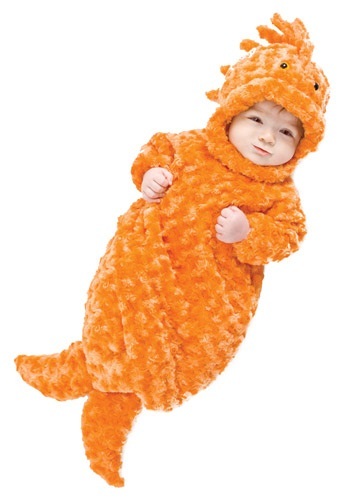 Now your little one can become the cuddliest goldfish ever when you pick up this bunting costume. This is a great costume for fun pictures or your baby's first Halloween. 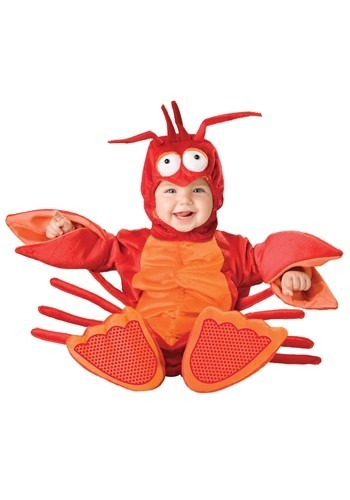 This Infant Lobster Bunting is a cute and cuddly option for your baby's first Halloween! The off-center front zipper gives easy access for diaper-changing, and it's cozy for a chilly night. 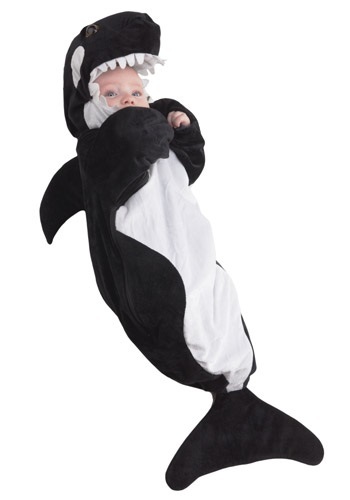 This cute Infant Whale Bunting is cozy for a chilly Halloween night, and lets your child become a seagoing predator!. It's fully lined with a convenient off-center front zipper. 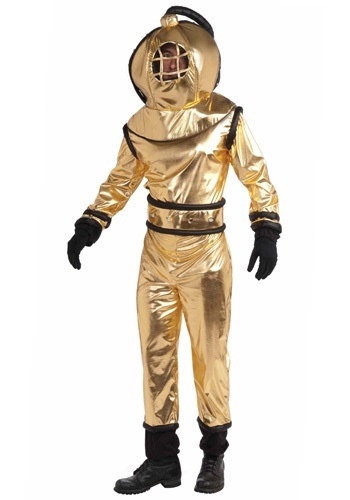 Maybe you are looking for a unique costume. Or maybe you just want to make up for all those childhood years wasted wearing pajamas with trains printed on them when you didn't even like trains. And no matter how many times to tried to talk your mom into getting you pajamas that weren't boring she never listened. Either way, it's okay. 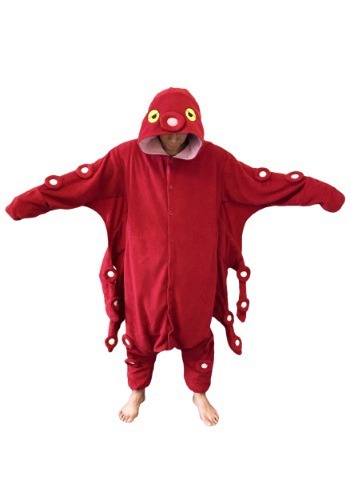 You can have this red octopus pajama costume and everything will be good. Finally. 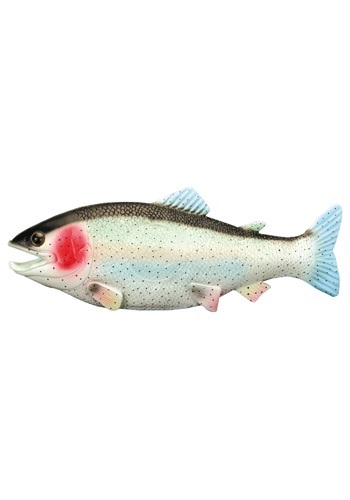 Maybe you should stop asking yourself why you need a rubber fish, and start asking yourself the question, "Why wouldn't I need one?" One thing is for sure. When you need to play a practical joke on a polar bear, you'll be glad you have it. The ocean is a dangerous place because there is a something lurking in the shadows. A creature that never stop movings and is craving a beach side snack. That's right, we're talking about sharks. These carnivorous ocean swimmers spend a great deal of their time chowing down on fish and various other sea life. But when these vicious animals crave something a little more exotic they may take a bite out of a person who is swimming where they shouldn't. Now all they take is a taste because sharks digestion systems can't really deal with the human ratio of bone to muscle and fat. 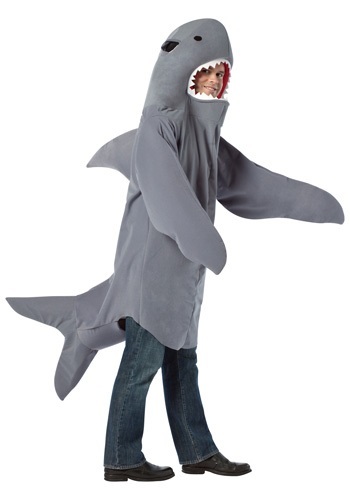 Just be sure to keep an eye out for that fin though on the beach! Look who has escaped from Sea World! This little flipper is jumping out of the water to say hello. 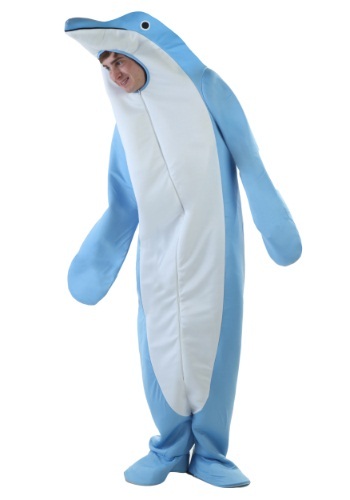 Now your little one can turn into a big sea animal wearing this Toddler Dolphin Costume. This jumpsuit is comfortable and cozy and will keep your little one warm! Life is much better under the sea. You get to play in the water all day, meet new species, and occasionally befriend mermaids. Plus you're, you know, less likely to get eaten down there. But don't worry. 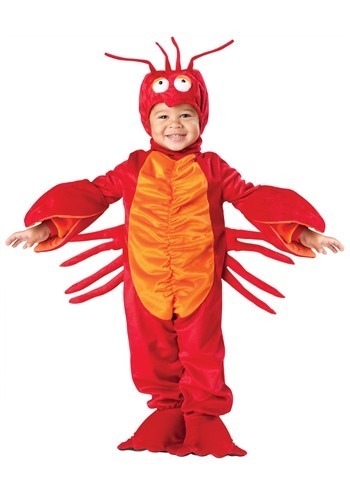 In this Toddler Lil Lobster Costume you'll be the cutest thing to ever step foot (I mean claw) out of the sea. You don't have to sit around, cooped up in your tank! Break free. Get out there! Show off your scales. What's that? You don't have any scales?! Well, we can help you with that! 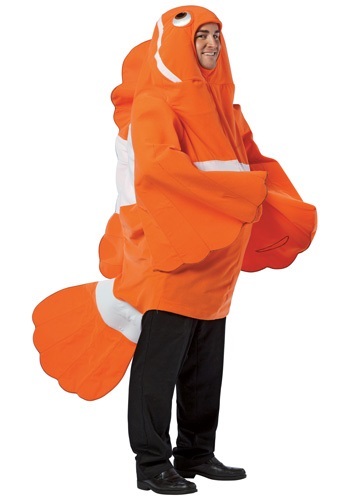 This Women's Cozy Goldfish Costume has a look that's way too cute to be stuck in a tank. If you've ever clawed your way through a crowd to get to a fall boot sale, the last black and white cookie at the bakery or the big screen television you saw in a black Friday ad then you can appreciate how helpful a pair of real claws would be. 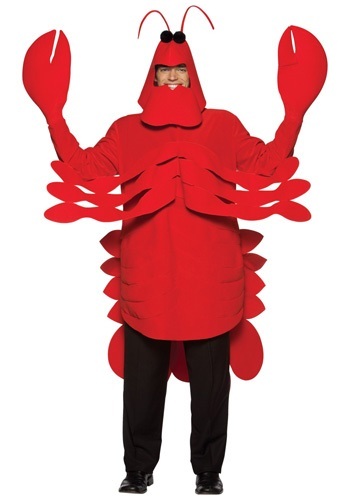 While the furry mitts included with this rock lobster costume may not look any more threatening than your favorite stuffed animal, if you loudly announce that the next person who cuts in front of you is getting the business end of your claw they should prove reasonably effective. You saw those boots first, so you deserve them after all.